Editor’s note: A new version of this post is now available. Content marketing can be time-consuming. With a good plan you can become more effective, and using the right tools should be an important part of that. These seven tools will help make a big difference in your content marketing productivity. SEMrush is a great tool to help you assess the traffic a competitor gets on Google and the keywords for which they are ranking. Enter your competitor’s web address and SEMrush shows a list of the keywords for which it ranks on Google. 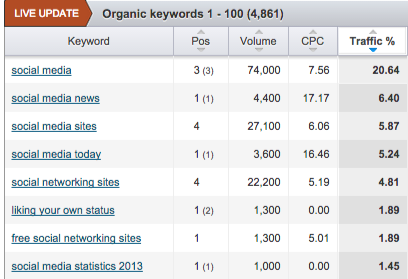 With a free registered account, SEMrush reveals the top 10 keywords driving traffic to your competitor’s site. 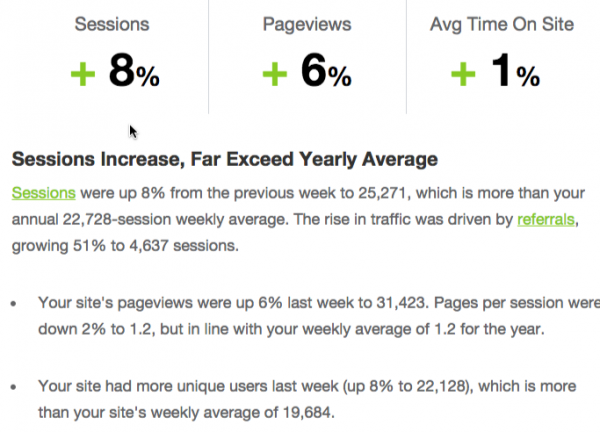 If you know which keywords direct traffic to your competitor, maybe use some of them to get some of this traffic? You also want to create content that gets shared across social media channels. The best way to do this is to find out what type of content normally gets a lot of shares and write content around similar topics. With BuzzSumo, you can enter your own website address – or your competitor’s – to find the most-shared content across different social media channels. You also can search for keywords to find the content related to those keywords that are shared the most. It also is helpful to use BuzzSumo to examine content shares on specific channels to help you produce content that is likely to be popular on your targeted channels. Imagery is an important element of content promotion but going to graphic designers for every piece of imagery gets expensive and time-consuming. Canva is graphic design without the need for graphic design skills. It makes it easy to produce impressive, professional-looking images using a simple, streamlined interface. When you create great evergreen content, it’s important to share it on a regular basis. However, you don’t want to continue to promote it with the same image all the time. So, create a batch of similar images that can be used in various promotional activities. When you’ve done all this hard work, it’s time to monitor your results. But Google Analytics can be quite daunting and not everyone wants to try to figure out the data. Quill Engage sends a weekly email which interprets your results in an easy-to-understand way. 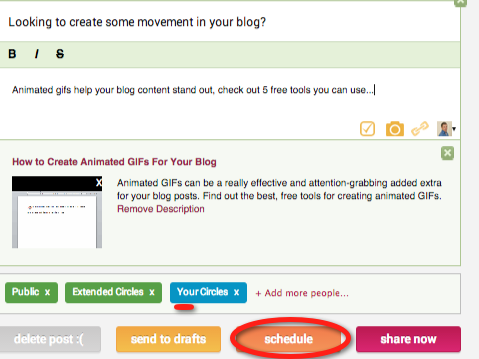 Calendar view: Visualize all scheduled and draft posts so you can easily drag and drop items to adjust the dates. Team functionality: Send messages to team members. For example, an article’s author can include a note to the editor at the end of the post before assigning the article to be edited. o Pitch – The content is an idea, but we have not committed to writing it. o In progress – Someone is actively working on it. o Draft without images – Images need to be added. o Pending review – Ready for the editor to review. o Final review – Ready for posting, the author will give it one final look. Do Share is a Chrome plug-in for posting content to a Google+ personal profile. Currently, you aren’t able to schedule content posts to your personal profile through Google. Do Share gets around this by holding scheduled content until the time it is due and posting it for you. Note: You must have your browser open at the time of posting. When browsing through Google+ content, you also can pick content and send to Do Share for posting at a later date. Zapier is an automation tool that links over 300 applications to perform automated tasks. You create “zaps” – a triggering task that initiates different applications. There are some really useful automated tasks to help with your content marketing. For example, we created a zap so that when we post to a Facebook page the zap automatically sends it to Buffer where the queue is set up to send the content to other channels. Save your favorited tweets to Evernote. Share Instagram photos to your Facebook page. 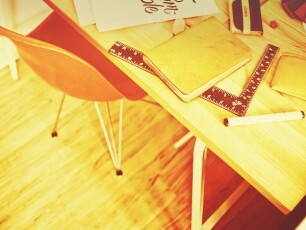 Share new posts on WordPress to Twitter, Facebook, Google+, and LinkedIn via Buffer. Send LinkedIn status updates to Twitter. If you have a good content marketing plan, the tools will help to support this plan, improve your impact, and maximize your success. Review the tools you use to find out if they are delivering the results you require. Maybe you’ll consider adding one or two of the tools detailed here. What other tools do you recommend? Want to discover more tools to help your content marketing? Check out the 2014 CMW sessions available through our Video on Demand portal and make plans today to attend 2015 CMW. Ian Cleary is founder of the content marketing agency RazorSocial where he provides consultancy and training. He is also Co-founder of OutreachPlus which is email outreach software for sending highly personalized emails and follow ups to generate more traffic, PR and sales for your business. Follow him on Twitter @IanCleary.